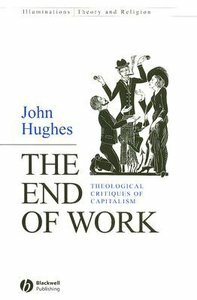 Surveys twentieth century theologies of work, contrasting differing approaches to consider the "problem of labor" from a theological perspective. ^Aimed at theologians concerned with how Christianity might engage in social criticism, as well those who are interested in the connection between Marxist and Christian traditions ^Explores debates about labor under capitalism and considers the relationship between divine and human work ^Through a thorough reading of Weber's "Protestant Work Ethic," argues that the triumph of the "spirit of utility" is crucial to understanding modern notions of work ^Draws on the work of various twentieth century Catholic thinkers, including Josef Pieper, Jacques Maritain, Eric Gill, and David Jones ^Published in the new and prestigious "Illuminations" series. About "The End of Work"
John Hughes has taught for over 15 years and prepared students for BEC at all three levels. He has run Business English departments in Poland and Italy and organised teacher training courses including preparation for The LCCIEB Further Certificate for Teachers of Business English examination. He has written a number of course books for students and resource books for teachers as well as numerous articles for publications such as The Guardian Weekly. Currently, he is involved in the writing and development of online materials for training teachers.